Brand new to the GlamGlow® franchise is the ThirstyMud™ hydrating treatment mask which I was lucky to receive a month ago. It promises ‘deep instant extreme hydration for long, medium and short term results’. As you all probably know by now I love anything moisturizing and hydrating as it instantly plumps up the face for a youthful healthy look, so I was more than happy to give this a go. 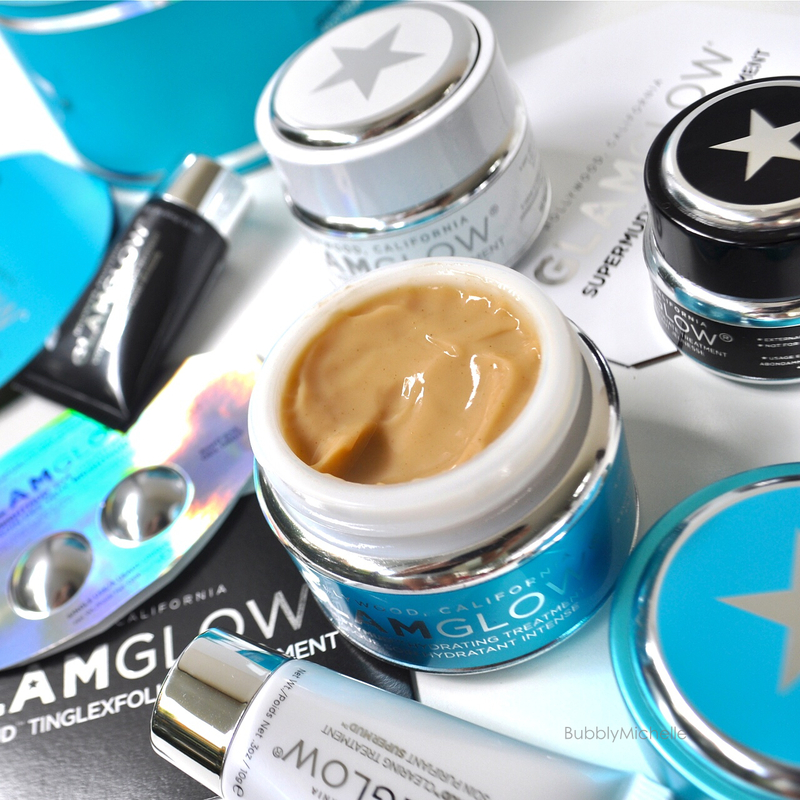 GlamGlow® ThristyMud™ comes in a heavy jar of a beautiful aqua colour which we are programmed to instantly associate with hydration. It’s attractively packaged and feels rather luxurious. I personally hate flimsy plastic jars for housing skincare and GlamGlow® always get the packaging part right! Another thing I noticed was that the product quantity is more compared to my trusty SuperMud™! The size difference in the jar was hard to miss, so I checked! and I was happy to discover that this comes with 16g more! ThirstyMud™ is of a gel consistency. I love how light it feels as the creamier types usually make me feel like they would clog my pores. Although it’s of a lighter consistency, you don’t have to use a lot of it, just a thin layer should do. The ThirstyMud has a coconut scent to it which is quite addictive and feels very summery! Perfect for lounging on lazy days and pampering your skin. Up on application, the mask feels refreshing and minty and I noticed that on sensitive areas such as around my nose and lips it felt a bit tingly. Something unexpected, as I don’t normally experience this sensation with hydrating masks. However I must mention that it wasn’t uncomfortable or bothersome. The first time I tested ThirstyMud™, I left it on for the specified time, which was 10-20 mins (for daytime use). Since the mask felt rather tacky I decided to wash it off after the treatment (which also can be wiped off, it’s just down to preference) as I don’t like my skin feeling sticky throughout the day. I noticed that using water to remove the mask was extremely refreshing as I was left with a cooling sensation as I splashed water over my face. Results wise I wasn’t blown away. I have used other masks that give similar results as far as ‘instant hydration’ goes. So first time underwhelming aside. I decided to give the mask a second chance by leaving it on longer as this can be used as a night treatment where you slap it on before bed and wake up with hydrated, plump skin. I didn’t like the thought of sleeping with a sticky face so I put it on during the afternoon and went about doing my chores at home with the mask on and washed it off later that night. . This time around I noticed better results. Keeping it on longer did benefit my skin much more. The drier areas on my face, such as my cheeks felt softer and supple. I really liked the after effect. So in conclusion I’d recommend leaving this on for as long as you could. You do get better results that way. Lastly, would I purchase this? Probably not, as I do own other masks that do a decent job at a lower price point. I would consider this more of a luxury indulgence. But that being said, I do feel that it’s something worth trying out for yourself as GlamGlow® masks always have mixed reviews. What works for me might not work for you and vice versa. So far from the GlamGlow range, my favourite has been the SuperMud® which is my holy grail, purifying, blemish busting, spot treatment mask that I would never go a single day without. But given that I do have relatively hydrated skin the effects of the ThirstyMud® was a little underwhelming although this mask does hydrate and restore moisture as it claims to. I feel those with clear dehydration issues would notice it’s efficacy better. 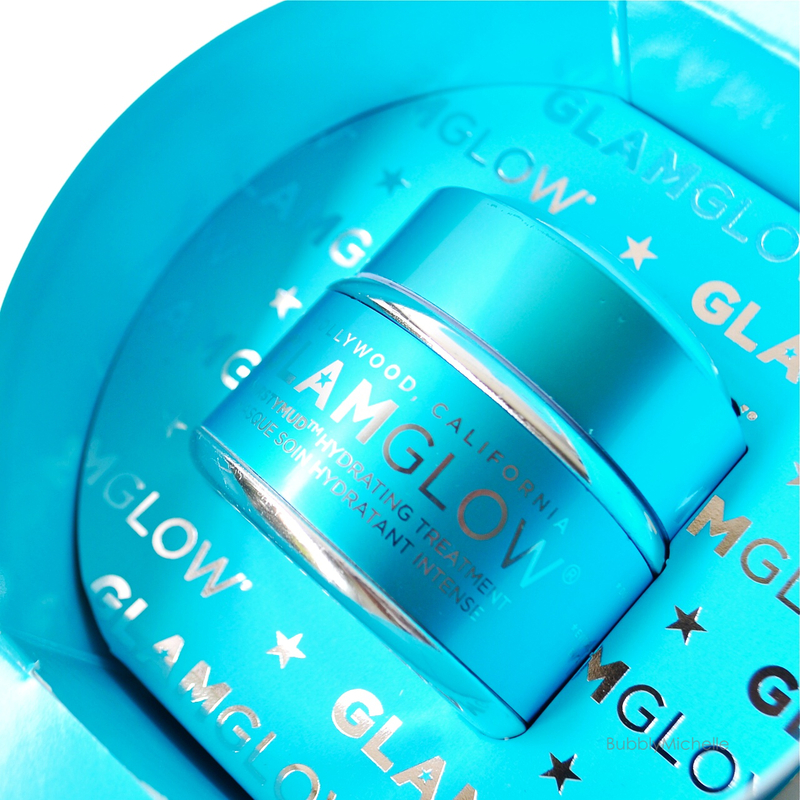 GlamGlow® ThirstyMud™ is 100% Paraben free and suitable for all skin types. Also available in the U.S at Sephora. And thank you for dropping by! Happy Sunday everyone! We have this brand here too. I’ve always being intriged by it, but had never tried. Need to try the SuperMud ! You really need to try the SuperMud. It’s the best for blemish control! I am planning to repurchase mine soon as it’s about to run out. This is definitely way more then I would take lol but you’re probably more glam than me! Lol, awesome photo quality by the way! Really enjoyed reading this review. I love the sound of the smell, but whilst I don’t mind leaving a mask on for a while, I’d sooner see quicker results, and for the price, I think I might give it a miss.